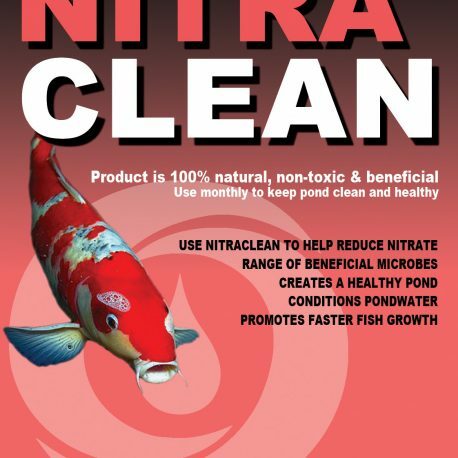 Eliminating the Nitrites with monthly use of NITRACLEAN will reduce the chance of fish disease and result in healthier fish. 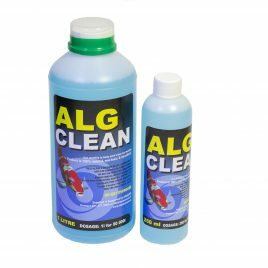 A formulation of natural bacteria and enzymes ensures that this process is 100 % safe for fish, plants, birds, pets and humans. 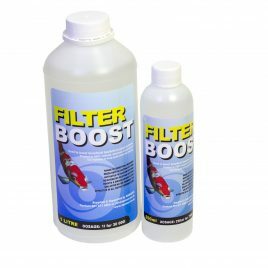 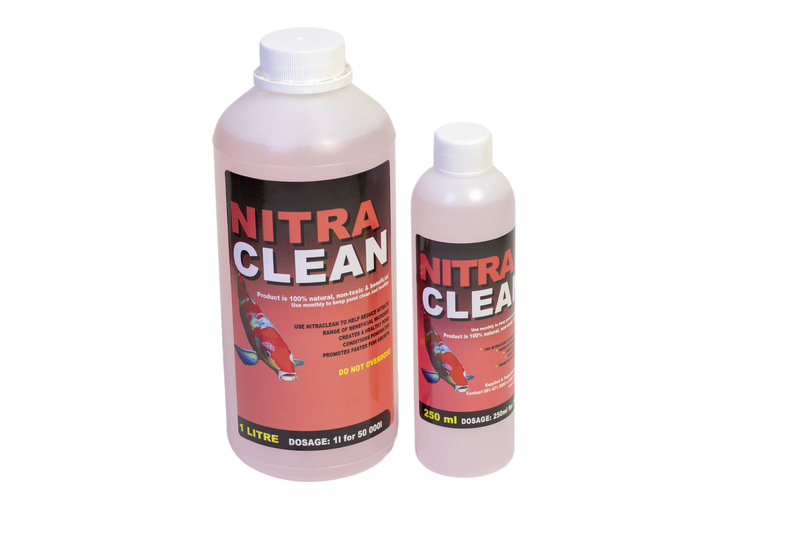 1 litre of NITRACLEAN will treat 30 000 litres of pond water. 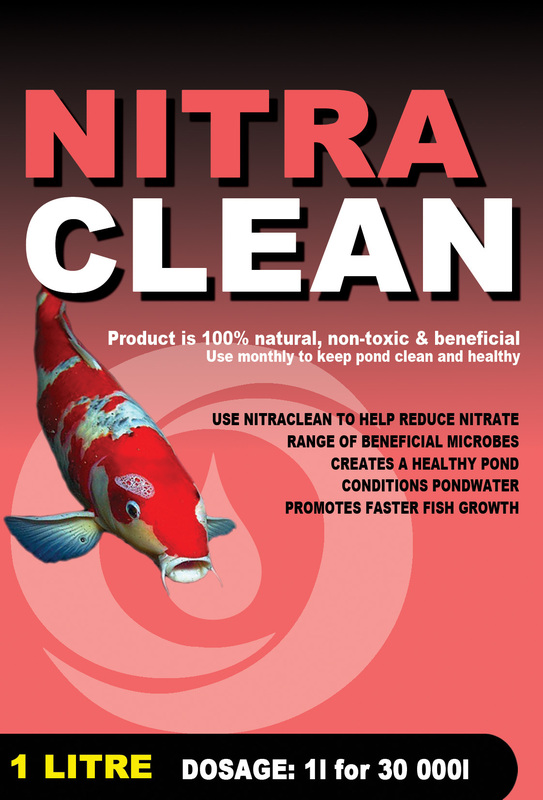 NitraClean is a biological product that will reduce both Nitrates and Nitrites in ponds, water features, dams and wetlands. 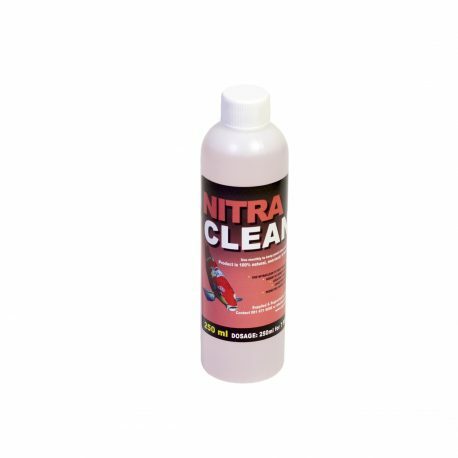 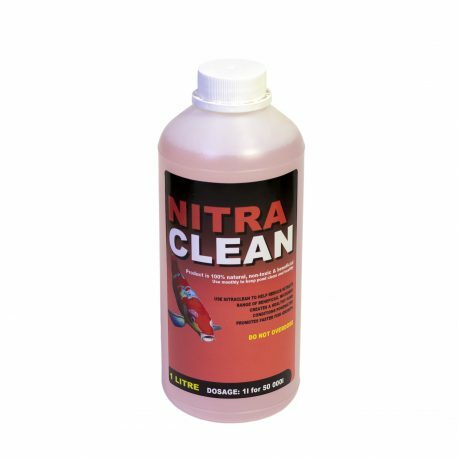 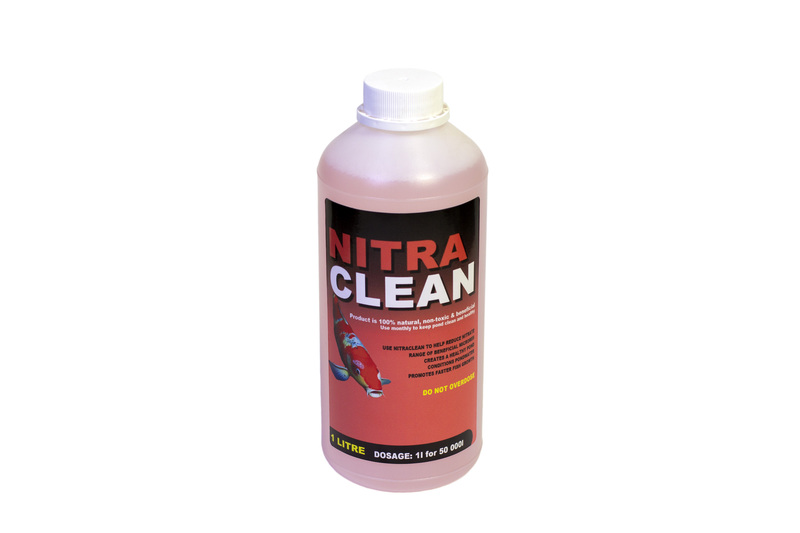 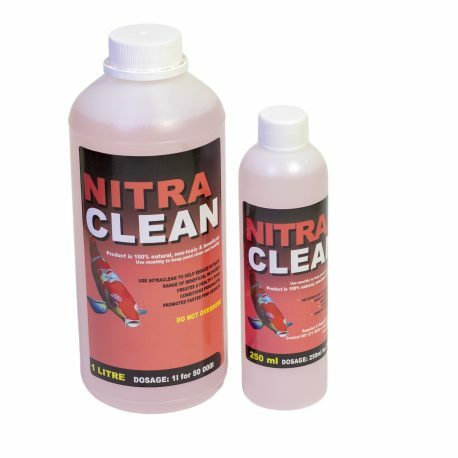 NitraClean can be added directly to the water without pre-dilution.